No, the Photo Friday isn’t of poo; but I have a story to tell. It might be a too-much-information story. Feel free to scroll down to the pictures whenever you need a break. So, Pig-farmer was gone and Bernice and the piglets were under my care. The runt had already died and I was feeling rotten about that. Then I observed that Bernice wasn’t going to the bathroom. #2, that is. It happens. Or sometimes “it” doesn’t. When “it” doesn’t, “it’s” a problem. I knew that Pig-Farmer had dealt with this situation before. One time he added something to a plugged-up sow’s feed that made it dangerous to stand anywhere closer than 7 feet or so behind her! “It” was projectile! I did not want that to deal with. Nor did I want to have to administer an enema … I kid you not. That is a solution that Pig-farmer has turned to in the past (for the pigs, people, for the pigs). I did NOT want him even suggesting that to me. Well, Epsom Salt is a natural, gentle laxative. We had been adding it to her feed. Apparently not at a ratio that was size-equivalent, however. So … Wednesday night, after I got home from my Mexican dinner & margarita with my sis, I checked on the pig-poo progress. Still nothing. I was thinking, “Houston, we have a problem. 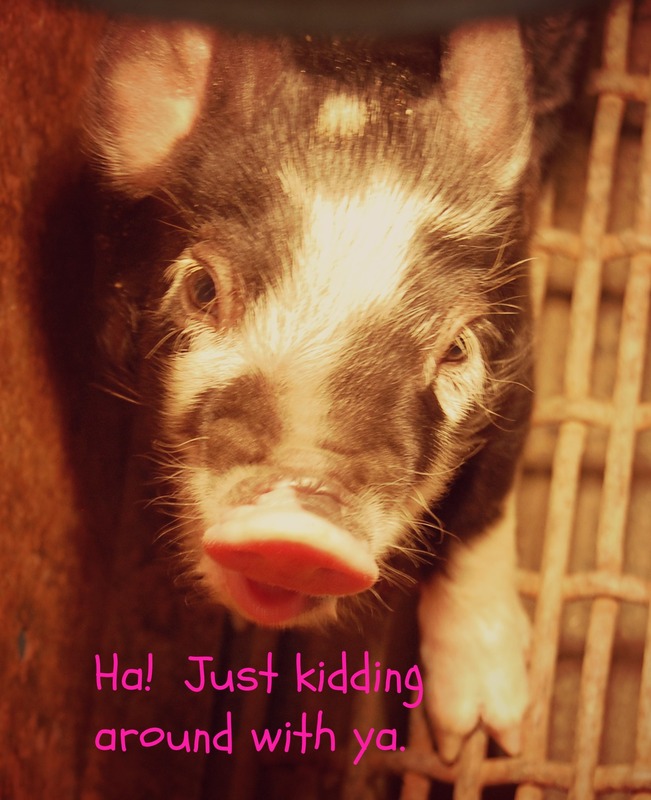 I do not want to report on this to Pig-farmer.” So…. I decided to grab a bottle of Gatorade (orange, in case you are wondering) and add a heaping tablespoon of Epsom Salts to it, shook it up, and poured it into Bernice’s feed. She went to town on my little concoction and seemed ever-so-pleased. Thursday morning, I peeked into her pen and did a happy dance. “It” happened! My girl was in business. Later in the day, “it” happened again! I said, we didn’t need to get carried away, but good for you, Bernice. As we all know, if mama ain’t happy; ain’t nobody happy. 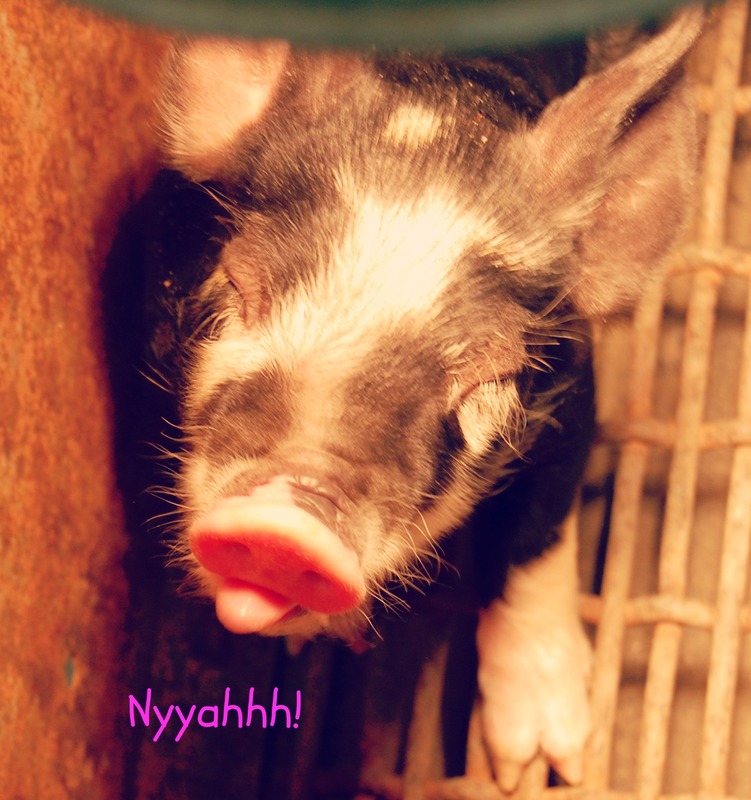 This entry was posted in Berkshire Pigs, Country Living, Work/Career and tagged Berkshire piglets, Berkshire sow, Epsom salts, farm animal photos, farrowing pigs, Photo Friday, PicMonkey, pig pictures, Pig-farmer, TMI, too much information. Bookmark the permalink. Gave me a really good laugh! Good!! That makes me happy. Good job!!!! I’m sure Bernice is feeling so much better now. I thought the runt had a good chance …. something may have been undeveloped internally. The pigs are starting to play now. They are hard to catch not in motion. Glad I caught that face! 🙂 Enjoy! The first cup is oh-so-good. Bwahahahahahaha. Working a desk was much easier, wasn’t it? 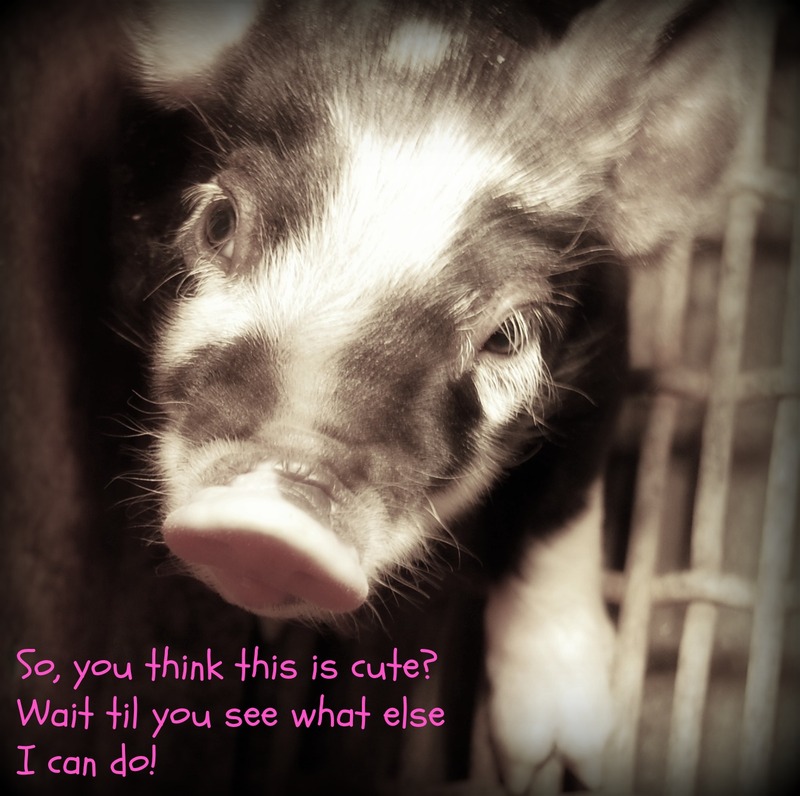 You wanna know what makes the piglets so cute? Those big eyes with eyelashes and flattened snouts. You have to take the good with the bad! Glad you got a chuckle. I agree – the pigs’ features right now are adorable. Goodness! The things we do for our animals. Glad everything “came out” ok.
Poo is a HUGE deal! Glad everything is okay now! Whew, you, me and Bernice! LOL!